A specialty of Jerry Tools is the manufacture and design of custom fixtures for inspection. New from Jerry Tools is the JT-7735 universal air bearing rotary inspection fixture that is table mounted with air hookup included. Now you can use the JT-7735 air table to establish base neutral conditions to test and inspect parts for tolerance, verity set up and test fixture assembly on an equal air force to within .0001-.0002 TIR standard tolerance. Uniform air pressure allows you to test and spin applications like jet engine fans and engine cores up to 3 feet off the table within desired balance. 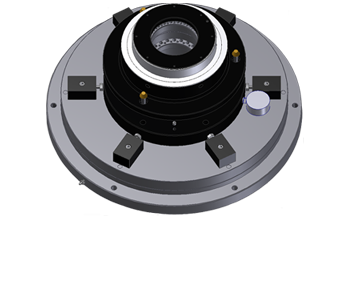 Now you can inspect parts and verify set up with reliable air bearing rotary inspections. Custom top plate fixtures in various adaptable sizes and hole patterns are available at customer request with four week normal delivery. 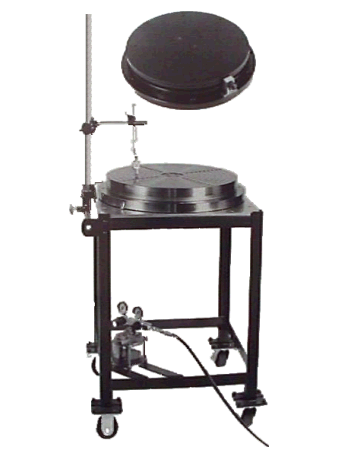 Manual rotary inspection table JT-5176 is also available with no air hook up required. Other precision expansion fixtures used for holding parts during milling operations and inspection of parts after machining are also shown. Please contact us at 513-242-3211 for more information.